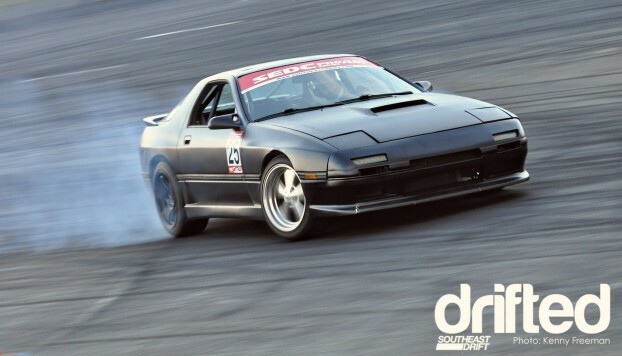 Gresham Motorsports Park, Jefferson Ga. South East Drift Pro Am series- Fuera De Control; 16 Drivers, only one winner. 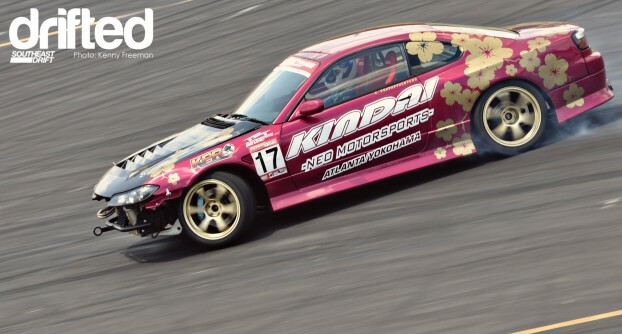 The day started off great, with drivers coming round the bank at 100mph and hitting BIG drift. There were so many amazing drivers that showed up to this event. 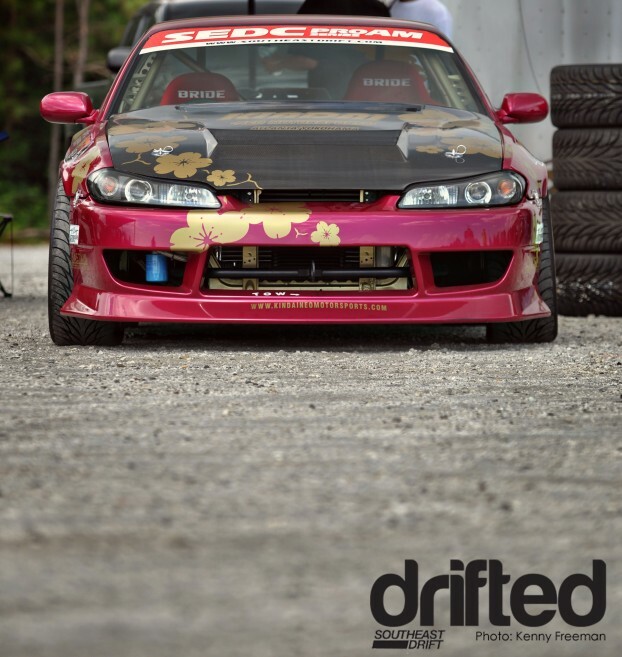 Dan Willie from Batlground, Doug Van Den Brink with ASD Motorsports, Jodin LeJeune and the Drift Emorium’s G35. 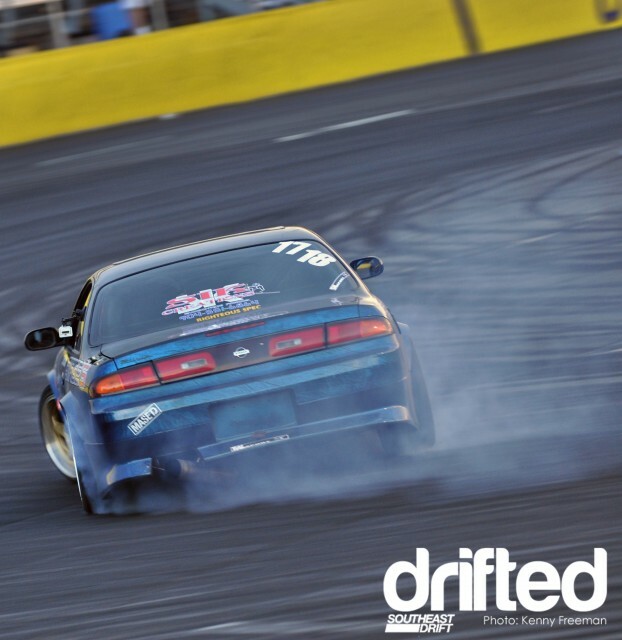 Big drifts and solid lines went on all day, these drivers know this track, know the speed they can initiate, and know where to go. The fun part is when they came in for the top 16. 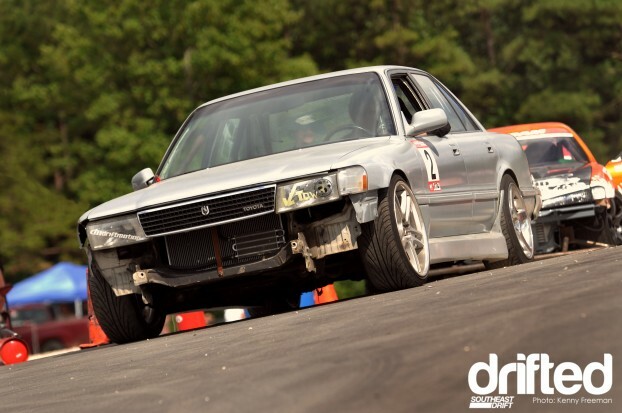 These drivers did nothing but have fun. 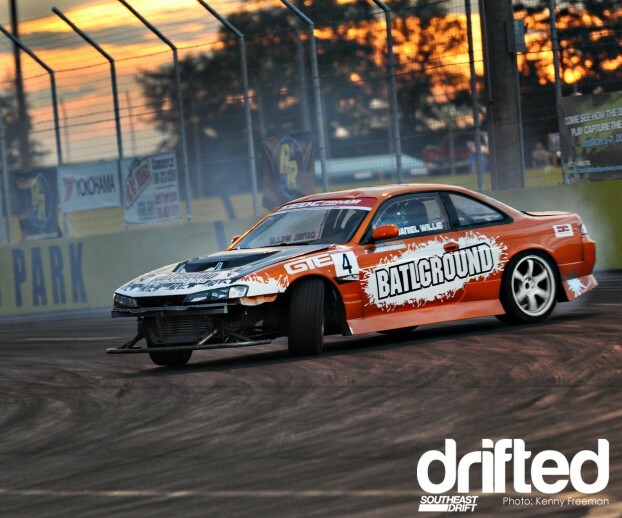 Good angles from driver Chris Ward from Batlground and Zoltan Hajdu. 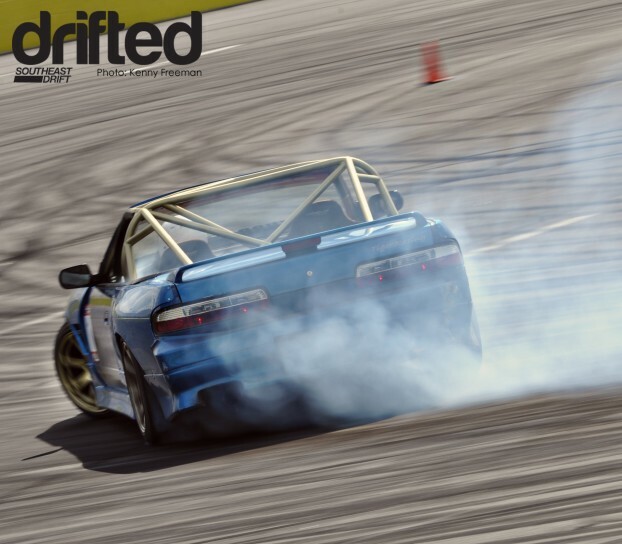 All in all, the drivers at the South East events always put on a good show. They go all out and always get great angles. If you live anywhere near Atlanta, please come out and support these guys. You will not be disappointed. 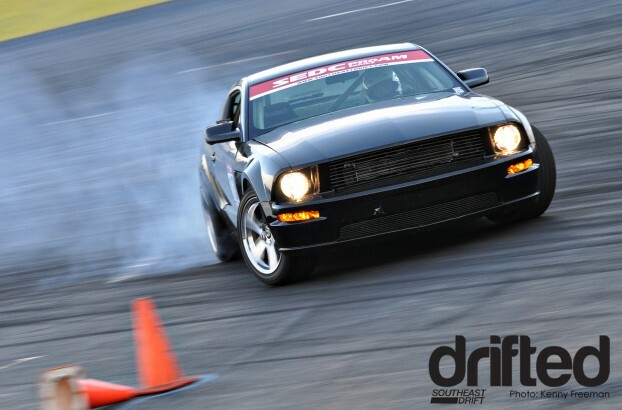 Go to Southeastdrift.com for all the events coming up. 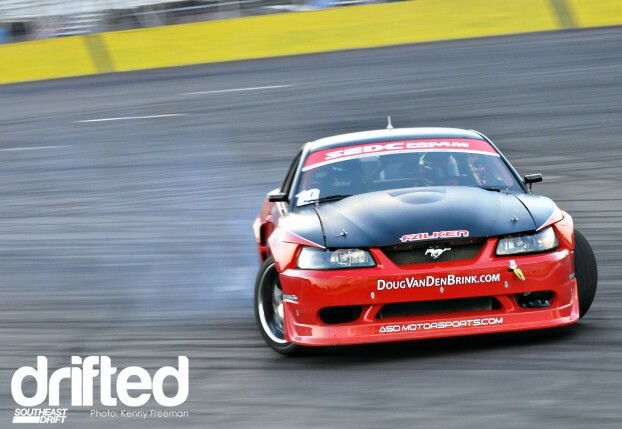 Congratulations to the winner of Fuera De Control – Doug Van Den Brink and his ASD Motorsports 2004 Ford Mustang,4.6L Single Turbo V8.